That is a very good point , if the area is not well control and both projectors are not place side by side than the extra money spent will not be justified . i think avsforum many condemn the eshift 5 which is not better than eshift 4, actually make the image softer. I'm using x7000 which is using eShift 4 and the PQ is very good without going into details... For eShift 5, I believe it should be better with each iteration. The leap in PQ starts from eShift 4 batch onwards... You can't go wrong from thenceforth imo. When it comes to movie watching, nothing beats JVC intoxicating blacks levels. For me, my next upgrade is still a laser source based projector but I am prepared to sacrifice a little bit of blacks levels in this case. For home cinema, lumens of 800 onwards (for a man cave is the minimum standards) up to 2,000. If doing HDR, considerable brightness with consistent and uniform light output is a must to bring out the best of WCG like HDR, HDR+, DV and HLG. If future is 4k streaming with HDR content, laser will still be a better choice. i have seen the demo of optoma UHZ65, color is out. black level is wash out. manage to ask change to dynamic black 2 to slightly improve. image is sharp. i think the FI is on, so action seems unnatural. i feel the right far corner a bit soft compare to center and left. image look flat to me as the contrast doesn't seem high enough, just doesn't feel pop. Doesn't come as a surprise to me based on what u saw. Same sentiments, although I'm hoping instead of laser source PJ, those large format direct view displays like Sony CLEDIS or Samsung's Onyx will come down in price sufficiently such that a home application will be viable. It's starting....will take a couple of years for prices to drop to reasonable levels I guess. 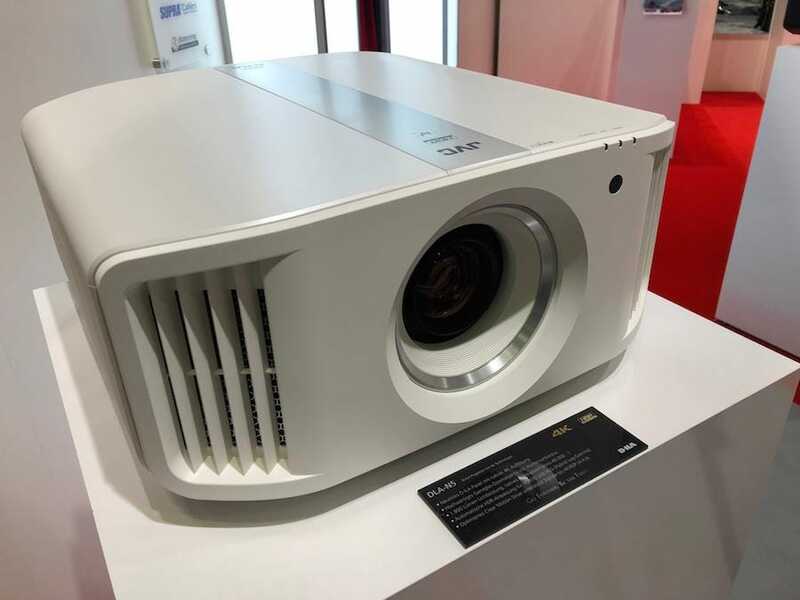 MicroLED, laser-based LCOS/SXRD 4K native projector ..all these new tech will take a few years before reaching domestically-affordable pricing aka less than SGD5K. In the meantime, just get what is available cost effectively and enjoy the UHD/HDR ride. Finally ... affordable native 4k?? The cheapest of the lot...though native 4K this time but still using UHP lamp. Nevertheless, a right step forward. I really like the design this time. Instead of making it wider, it make it "taller". Of course let's also not forget that there are pros and cons of switching from UHP lamp to a laser based source. One being the black levels. The auto tone-mapping feature sounds really interesting, like something similar to what that Panasonic 820 UHD blu-ray player does. In fact all PJs that support HDR should have some sort of auto tone-mapping since they can never be expected to reach brightness levels or achieve the sort of specular highlights of HDR TVs. Hopefully this is a feature that we'll find more common in UHD blu-ray players in the future as well.